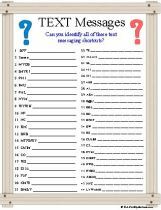 Trivia Games are a fun way to show off your smarts. Trivia games have been a part of entertaining for many years, but really became popular when the game of Trivial Pursuit came out in the 80’s. 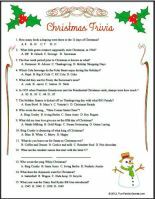 Trivia games are a good way of testing or proving someone’s memory capacity of useless facts. If someone has endless knowledge of endless categories, they should probably move directly to the game show Jeopardy. For the rest of us though, who are knowledgeable in some areas but know little about other areas, we are the ones that trivia games were invented for. When you can find a trivia game about YOUR specialty, that’s when you can shine. 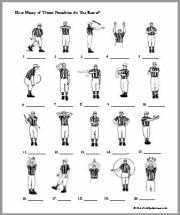 Check our growing list of Categories and Games. 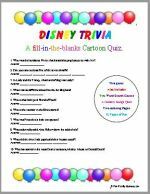 Trivia games can be as simple as a true, false question, a multiple choice question, or just a blank to fill in with the answer for each question. The type of game isn’t as important as the variety of the material in the questions you ask. When you have a Trivia Night it is best to have three or four different games of about 10 to 15 questions per game. That way there are short breaks every few minutes and you can spice it up with some little prizes for each game. 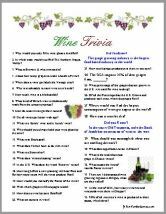 When you are going to include Trivia Games in a party amongst friends, you have the advantage of preparing the Trivia games in advance. 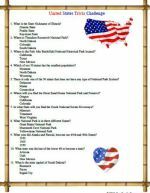 Just try to compile questions with a good variety, ones that will cover many different topics that fit your guest's interests, and have FUN. 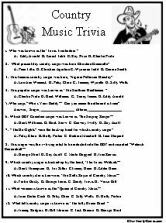 An advantage of using our trivia games is, they are all prepared for you, all you have to do is print them out.